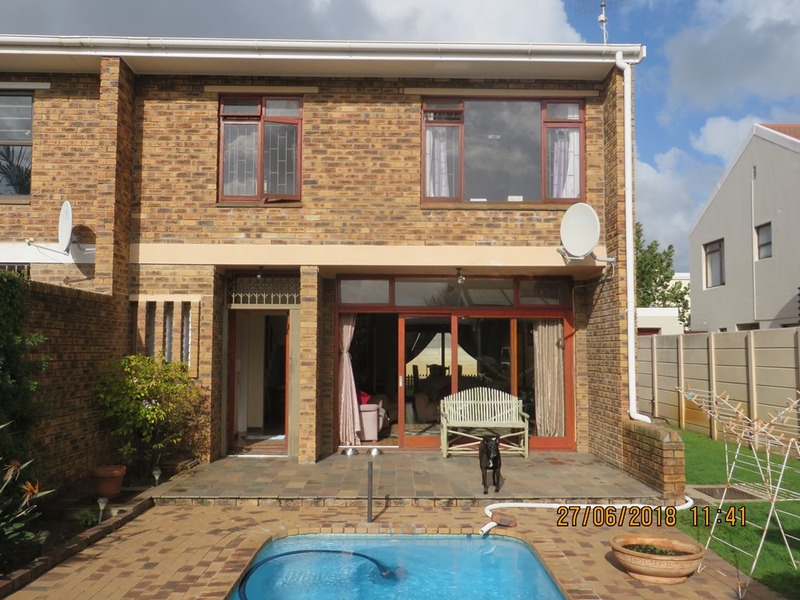 3 Roomed Town House in quiet road. Open plan living. Large Dining Room with large lounge leading onto Patio, front garden and pool. Wellpoint. 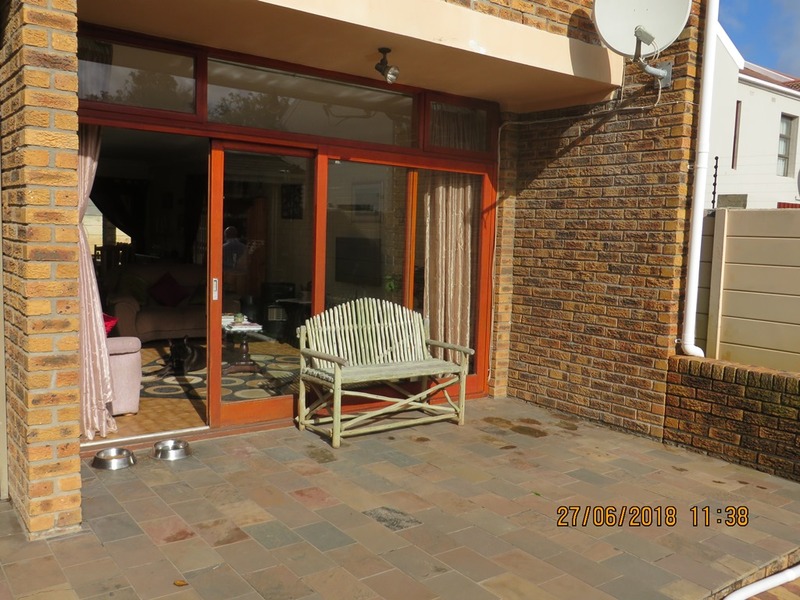 Upstairs – 3 Double bedrooms all with bic. 2 bathrooms plus a separate shower. Domestic Heat Pump connected to the hot water cylinder for power saving. Fitted kitchen with electric double eye-level oven and gas hob. Prepaid electricity meter. Single garage remote controlled tip-up door. Covered double carport behind remote controlled security gate plus additional off-street parking for 3 cars. Burglar bars all-round with trellis doors. 24 Hour armed response with motion sensor security lights. 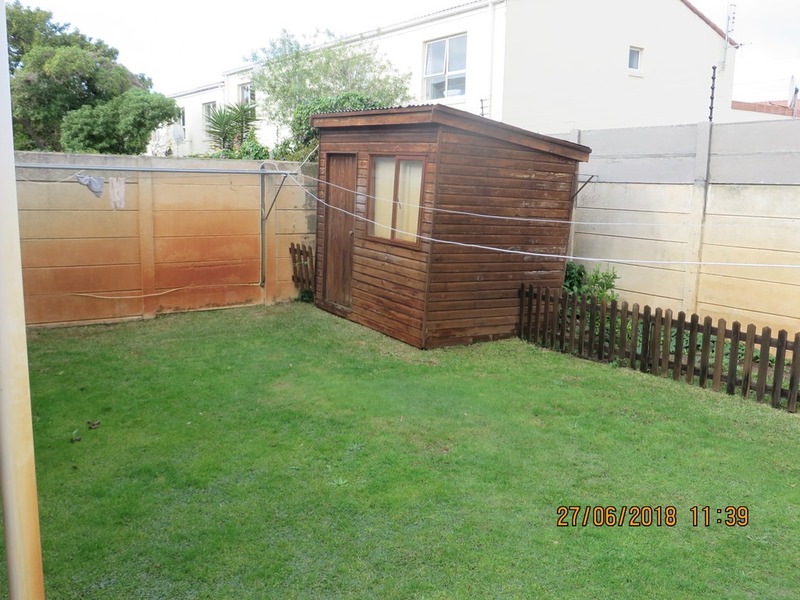 Back garden under lawn with Wendy house/ tool shed. DSTV Dish. Reception Rooms: 2 with laminated floors and TV port. Kitchen: Open Plan, Eye level oven, Dishwasher and washing machine connection, Tiled floors, gas hob. Plus: Heated Swimming pool, motion sensor lights, electric gate, security gate, alarm system, burglar bars and 24 hour response.